The Hall of Fame project actually began in the summer of 2007 when the decision was made to update the State Championship Banners that hang in our gymnasium to include not only every State Championship, but each Conference and Regional Title as well. To accomplish this task, research was conducted that included going through every Rendezvous Year Book dating back to the First Edition, published in 1926. What was discovered went far beyond what can be tallied on a scoreboard and our research unveiled the multitude of students, teachers, administrators, teams, community and staff members whose accomplishments were so rare and have changed the lives of so many. We realized that their legacy must be acknowledged. The amazing teams and individuals that are now recognized span nearly a century and cover five different school buildings. Their accomplishments range from the field of competition and outstanding academic achievements. There are many brilliant teachers who have changed the lives of thousands here in Sweetwater County, all of which are linked by one common thread... they are all Green River Wolves. It is with a great deal of pride that we present to you the Green River High School Hall of Fame. "Creating Champions with Character. In Sports. In School. In Life"
Recognize the esteemed individuals and teams that have made a significant contribution to GRHS and the community - this means prior to and following their graduation from our campus. 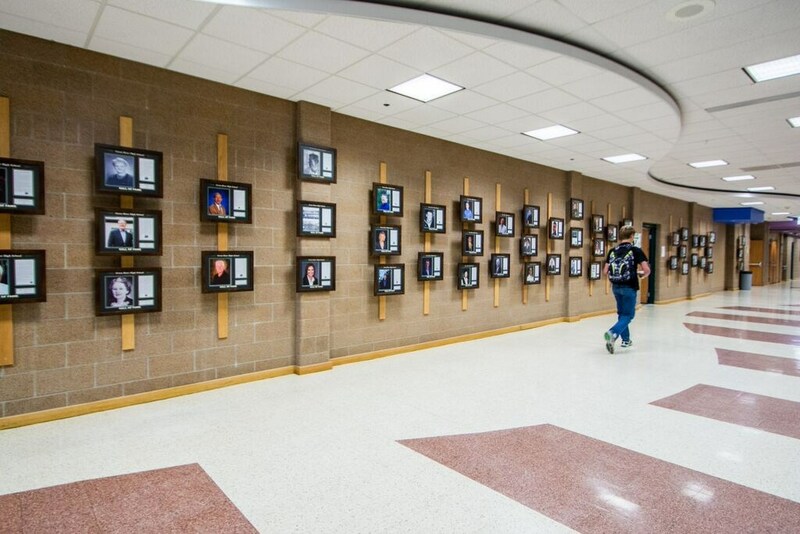 Establish a place to remember former students, teachers, coaches, administrators, staff members, community individuals, businesses, or organizations. Preserve the rich history of Green River High School.